If you live in India, chances are you’ve heard about the benefits of this amazing medicinal herb called fenugreek a.k.a. ‘methi dana’ in Hindi! These seeds are flat, yellowish-brown and have a somewhat bitter taste. Fenugreek leaves, seeds and powder are usually used in cooking, but they also have amazing health and beauty benefits. Most of its use in beauty and health remedies is in its raw form. Fenugreek seeds are supremely nutritious. It is a popular condiment and ingredient in Indian spices. It has medicinal properties and has been the favourite of all Yogis when it comes to Ayurvedic medicines. 1. Fenugreek extracts can be found in soaps and cosmetics. 2. Dried or fresh fenugreek leaves are used as a herb. 3. Fenugreek seeds are used in spices. Whether whole or powdered, fenugreek seeds are used in the preparation of pickles, vegetable dishes, dal and spice mixes. They are often roasted to reduce bitterness and enhance flavour in cooking. Fenugreek is low in calories, rich in protein, fiber, fat, iron, manganese, copper, magnesium, phosphorus and vitamin B6. It helps with numerous benefits for hair, skin and health. It is known to help with diabetes, help induce labour, lower cholesterol, protect the liver and help with digestion among others. Here are some of the benefits of fenugreek seeds! Time to take notes. 1. Fenugreek seeds help prevent greying of hair. 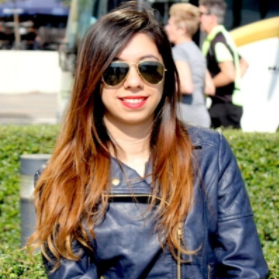 The seeds have certain properties that help the hair maintain its colour, and stop premature greying. Your mother and grandmothers have definitely used this remedy! 2. Fenugreek seeds have certain minerals and vitamins that help treat dandruff. Dandruff is caused by a dry, flaky scalp and fenugreek seeds have moisturising and anti-fungal properties. Usage will help moisturise the scalp and fight off any future fungal infections that cause dandruff and dermatitis. You can make a hair pack that will help treat your flaky scalp. Crush the fenugreek seeds and soak the seeds overnight in hot water. Strain the mixture, and use the water to rinse your hair in the morning then shampoo your hair with a mild shampoo. 3. 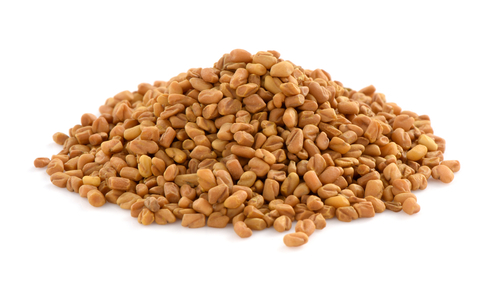 Fenugreek seeds contain a hormone that helps prevents hair loss. They contain proteins and nicotinic acid that strengthen your hair. A mixture of coconut oil with some fenugreek seeds infused over a period of one month helps strengthen your hair follicle thereby preventing hair fall. Add the seeds to the coconut oil and store the jar away from sunlight for approximately 4 weeks. Strain the mixture and use this oil for weekly head massages. 4. 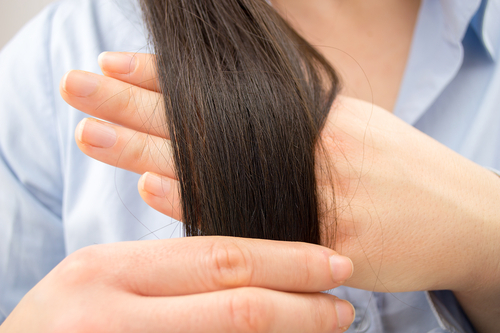 A DIY hair mask using fenugreek seeds helps your hair look shiny and glossy. Here’s how you make the hair mask. - Soak a handful of fenugreek seeds in some warm water overnight. It moisturises skin and wards off any fungal infections that cause acne and other skin woes. The diosgenin present in fenugreek has anti-inflammatory and antibacterial properties. A face mask using fenugreek seeds and water applied to the face for 30 minutes has moisturizing properties that help keep dry and flaky skin at bay. A fenugreek mask keeps acne-causing bacteria away. Add a handful of fenugreek seeds to boiling water and simmer it for about 15 minutes. Allow the mixture to cool and store it in the refrigerator. Use this as a toner daily and you’ll notice the results on your skin. Helps with anti-ageing. 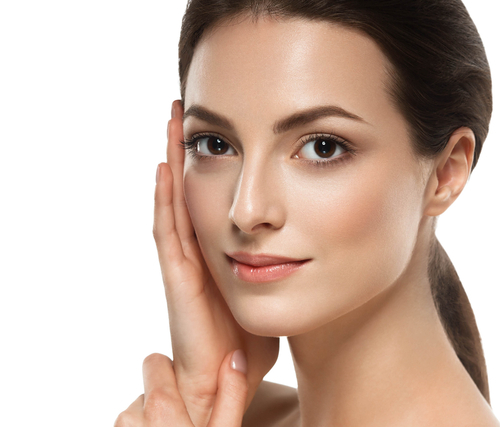 A mixture of fenugreek seeds and yoghurt helps keep wrinkles and fine lines at bay. Soak some fenugreek seeds in water overnight. Take a tablespoon of yogurt and grind the seeds to make a paste. Apply this for about 15-20 minutes once or twice a week and watch those fine lines fade away! The water that you soak fenugreek seeds in, can be used as a great face toner. Just soak some seeds overnight and discard them with a sieve in the morning. Store the remaining water in a spray bottle. Use it as a face toner and get a refreshing look. 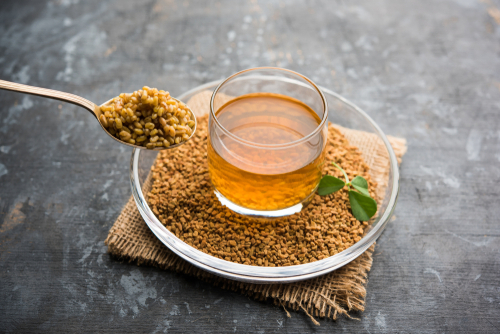 Ditch the chemical-induced scrubs and use fenugreek seeds to exfoliate your skin instead. Grind the soaked fenugreek seeds into a scrub like paste and apply it on your face and body. It will remove all the dead skin cells and the excess oil from the pores. We've all tried numerous ways to get rid of dark circles. From home remedies to under-eye creams, but, none seem to work. If you want to reduce blemishes and dark circles, fenugreek seeds are worth a try. Fenugreek contains vitamin K and vitamin C that help to reduce undereye darkening. Soak two teaspoons of fenugreek seeds in water overnight and grind with plain milk the next morning. Wash your face with a face wash and apply this paste on your face. Let it dry. Rinse with lukewarm water and do this twice a week. Fenugreek helps lower cholesterol especially the bad LDL levels in the body. It has flavonoids that lower lipid levels in patients suffering from high cholesterol. The anti-inflammatory and antioxidant properties of fenugreek seeds help reduce joint pain for patients suffering from Arthritis. It helps people with digestive issues and stomach ulcers. It works as a natural lubricant for your stomach and soothes the intestines and the gastric tract. Fenugreek also aids weight loss. 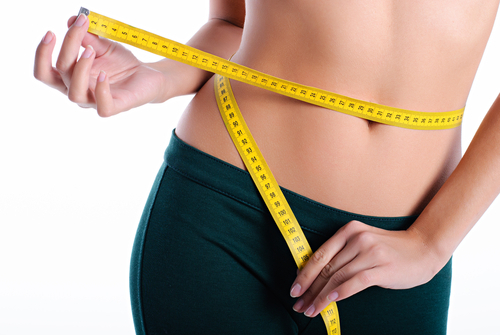 The seeds prevent the accumulation of fat in the body and improve your metabolism. Soak a teaspoon of fenugreek seeds in a glass of warm water. Drink this water on an empty stomach in the morning to boost weight loss. It keeps you feeling full for longer too. Improves the health of your kidneys and your liver. The flavonoids improve the functioning of your kidneys and prevent deterioration of cells. Fenugreek seeds are also capable of reversing any damage alcohol causes to your liver. 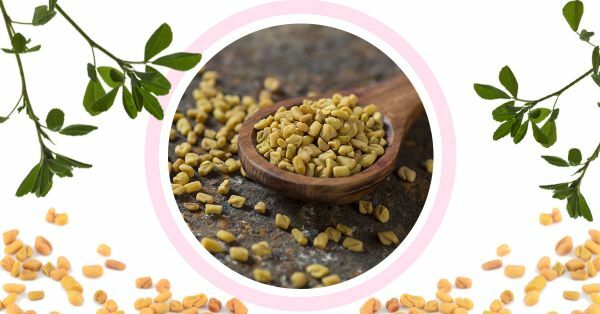 The consumption of fenugreek powder during periods helps to alleviate menstrual cramps and other symptoms associated with menstruation like headaches and nausea. Fenugreek is very helpful in increasing the production of breast milk in lactating women. The phytoestrogen contained in the herb increases the supply of breast milk in mothers and also helps children gain weight. 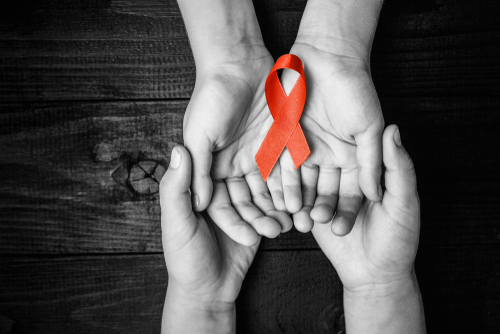 The oil extracted from the fenugreek seeds helps fight cancer. Helps control blood sugar and decreases insulin resistance in Diabetic patients. Fenugreek seeds are known to have positive effects on cardiovascular health. Fenugreek seeds help improve the functioning of the human brain. They also help reduce the risk of Alzheimer's and Parkinson's diseases. Fenugreek seeds help increase appetite and help people with eating disorders. Fenugreek seeds help cure a chronic cough. The seeds are also great to treat chapped lips. Fenugreek seeds act as the perfect spice that adds tadka and flavour to food. Dry roast fenugreek seeds and heat for two minutes. Add one teaspoon of the mixture over your curries, salads and stir-fry dishes. To improve digestion, soak 2 teaspoons of fenugreek seeds overnight in water. Take a mesh sieve and discard the seeds in the morning. Drink the remaining water and start your day with a healthy stomach. If you're looking for a healthy and tasty ingredient to add to your salad, fenugreek seeds are the best. Sprout fenugreek seeds by soaking them in the water. Make sure you cover the container with a cloth. In a few days, you'll notice tiny green shoots appear. You can add these sprouted fenugreek seeds to your salad. Methi paranthas with butter, yummy! Fresh fenugreek seeds can be added to your chapattis and paranthas. But that's not all! You can also add fenugreek leaves to dosas and idlis. Fenugreek seeds have medicinal properties. And if you're a tea lover then you must try herbal teas made with fenugreek seeds. Add some lemon and honey to a mixture of fenugreek seeds boiled in water. This is an effective remedy to treat fever. Internal bleeding: Fenugreek seeds, if taken in large quantities, can alter the hormonal level of the body causing internal bleeding. Urine and body odour: One of the most common side effects is that it changes the body and urine odour. Overconsumption of fenugreek seeds may make your urine and body smell like maple syrup. Loose motions: Fenugreek seeds can give you an upset stomach. Starting from indigestion, bloating, heartburn to gastric problems, over intake of fenugreek can have an adverse effect on your stomach. Skin irritation and allergies: Just like peanuts and chickpeas, fenugreek is one herb that doesn't suit everyone. If you're allergic to it then it can cause skin rashes, hives, irritation and itching.